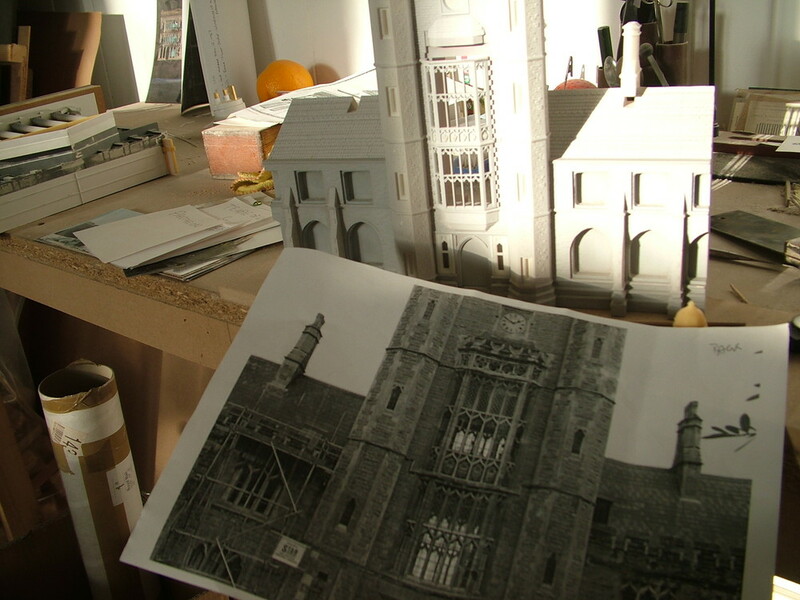 The St Brides Church of Fleet Street model was made to commemorate the retirement of Sir Edward Pickering. The Wren church, sits of the heart of the old newspaper industry on Fleet Street and is fondly known as the Church of Journalist. The model base is cast from an antique print magnifying glass and a subsequent, signed edition of 100 models was produced to raise money for the St Brides Endowment as well as being sold to various collectors.